PDP Vice Presidential candidate, Peter Obi, who spoke with journalists in Lagos on November 1st has denied claims of demolishing mosques and sending Hausas out of Anambra as Governor of the state. Peter Obi described claims of snubbing the Sultan of Sokoto, Alhaji Muhammadu Sa’ad Abubakar III; driving Hausas away from Anambra State, shunning the then Minister of Finance, Dr. Shamsuddeen Usman’s attempt at mediation and not visiting schools in the North as sheer fabrication, wicked and inhuman, the allegation being circulated by the All Progressives Congress, APC. He further disclosed that the irony of the claims is that, he has been friends with His Eminence, the Sultan right from his first year at the University of Nigeria, Nsukka, in 1980 through his tenure as Nigeria’s Defence Attaché in Pakistan till date. “As a matter of fact, the mosque at Onitsha was destroyed before I became governor. The irony of this concoction is that I have been a friend of His Eminence, the Sultan right from my first year at the University of Nigeria, Nsukka, in 1980 through his tenure as Nigeria’s Defence Attaché in Pakistan till the present. 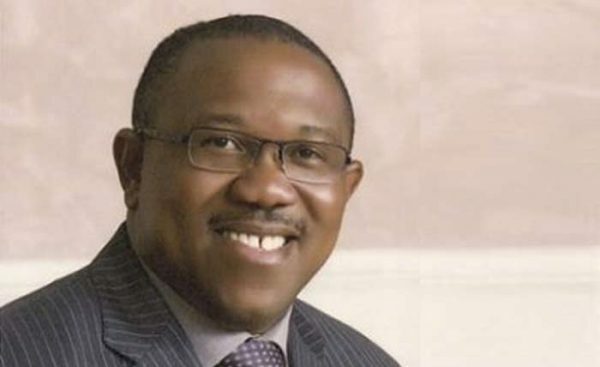 The post “I Neither Demolished Mosques Nor Sent Hausa Out Of Anambra” – Peter Obi appeared first on LATEST NIGERIAN NEWS BREAKING HEADLINES NEWSPAPERS.